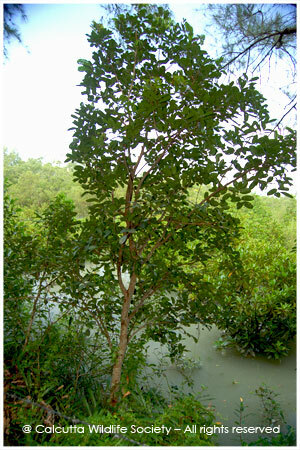 Leaves are paripinnate. Bears no pneumatophore. Best furniture timber of Sundarban. Used also for making umbrella handle, flower vase and multiple carvings. Fruits/seeds prevent bleeding, stomach pain and digestive problem. Rubbing of fruit relieves rheumatism.